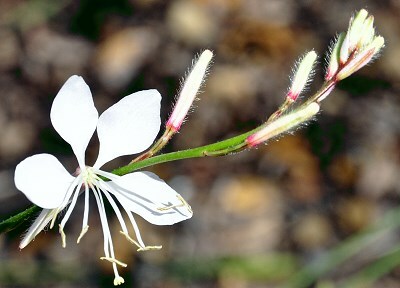 Gaura is one of the best Southwestern native flowers around. Each spring it pops up from the ground and starts its amazing rise reaching four feet by the end of summer. It offers blooms almost immediately and, by the end of October, it is still blooming here. 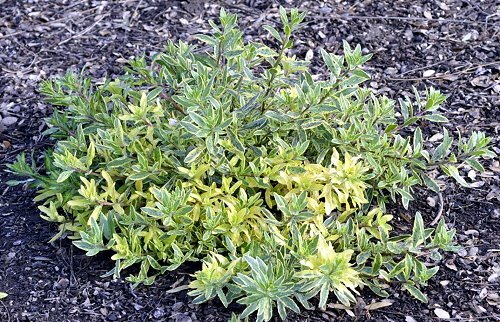 As the frosts hit, it dies back again and can be pruned back to the ground. Gracefully these flower wands dance in the wind. Honeybees find them irresistible. Variegated Gaura is a bit smaller than regular Gaura but equally as beautiful. 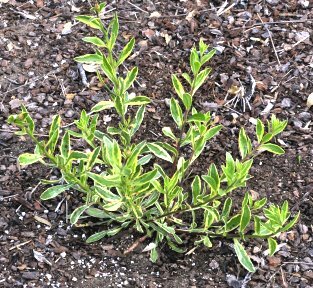 It reached about two feet high as a bush and then puts out pure white flower wands that elongate to about three feet. The Gaura on the right below is a year old. The plant at the bottom is the same plant in its fourth spring. 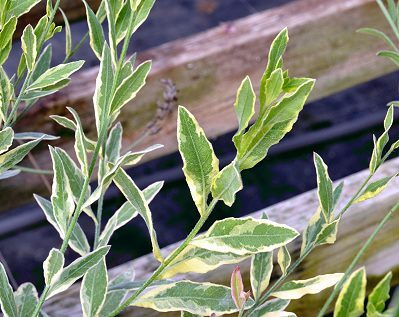 Notice how the variegation is irregular and ranges from almost white to almost green. Any all green stems, which are not really common, should be removed.